This thought-provoking book explores how we can hear God's voice in all things—heavy metal music, R-rated films, sports, and even the latest fashions. This eBook format is also available from iTunes/iBookstore. What do the music of Metallica and Bach,the film Crash, and stories aboutBatman have in common? According to author and pastor John Van Sloten, God can speak through all of them—if we're listening. 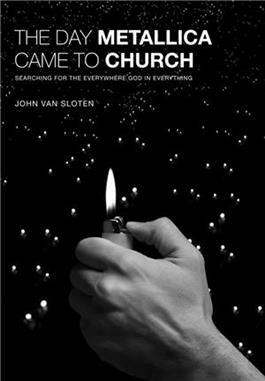 Out of his own often startling and sometimes wrenching journey of discovery, Van Sloten showshow God can speak to us through anything and everything—heavy metal music, R-rated films, sports, and even thelatest fashions. This book might just change the way you hear God's voice—and how you live in today's world. John Van Sloten is founding pastor of New Hope Church in Calgary, Alberta, a community committed to listening for the echo of God's voice in the most unexpected places.